"Cheers to the freakin' weekend," Rihanna sang in her viral 2010 pop ballad, reverberating the Friday feeling so much of the working-class experiences in unison every seven days. After work or school is done for the week, we retreat home, free to stay up all night (or crash immediately) with the comforting knowledge that we don't have to turn around and do it all over again the next morning. Instead of the usual weekday things, we can do different weekend things. As part of our new Saturday afternoon series, we're reminding you of a few places (a gallery, park, lunch spot, drinks) to potentially check out each Saturday. If you're one of us whose mind immediately blanks when anyone asks you what to do, where to go, what to eat, drink, see -- Uh... McDonald's? -- then this is especially for you. Weather: On the bright side, the temperature will be around 50 degrees, which is cargo shorts weather for many of us. However, there's also a 90 percent chance of rain and high humidity predicted, so maybe cover your cargo shorts with a long raincoat. Begin your day at The Benjaman Gallery (419 Elmwood Ave.) or, essentially, inside the immaculate house of a master art curator. A stroll through the family-owned gallery, inside a large Victorian, feels like an estate sale in the house of someone who spent their life accumulating all different sorts of art, from cubist to realist, art deco to modern. Head to the West Side for a filling Vietnamese lunch at Pho Dollar (322 West Ferry St.). 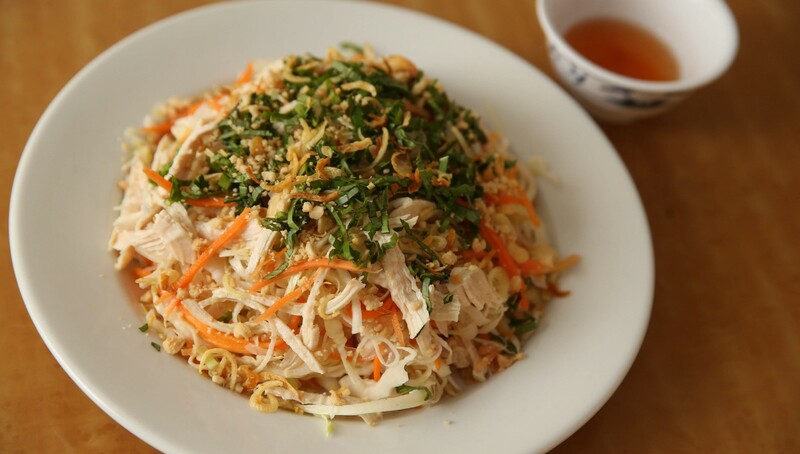 You could have the expected Vietnamese dishes, the fried rice or noodle soup or dumplings, but News' Food Editor Andrew Z. Galarneau strongly recommends the chicken salad. The interior is white, simple and modern -- a fresh palate -- leaving all of the color and flavor to the dishes. Now that you're full off dumplings and grilled pork, pop your umbrella, pull on some rubber shoes and take a rainy walk along Broderick Park (1170 Niagara St.). What? You don't like walking in a park on a rainy day? Come on, it's 50 degrees out - we're not about to waste this summer weather. 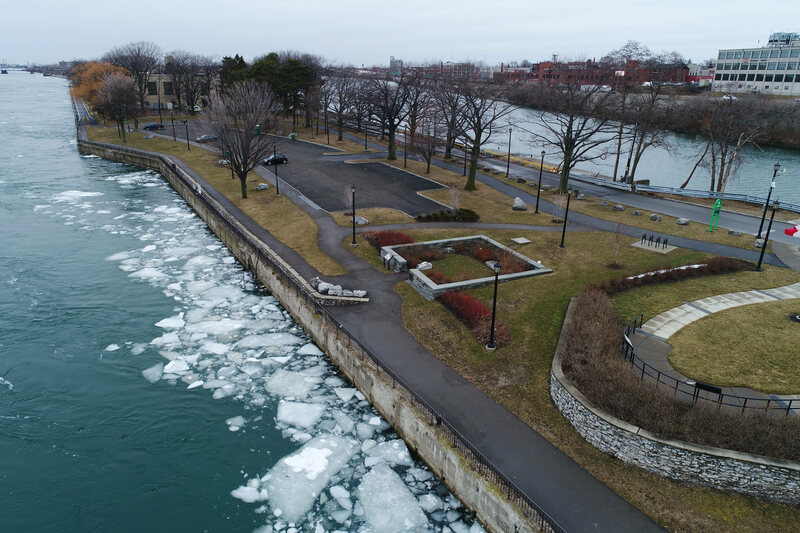 One road, Robert Rich Way, will take you across a bridge to the Niagara River island. Revel in the peaceful solitude that comes with being slightly removed from the mainland, even if only by a bit, looking out at the city, water and landscape. Catch signs of life while the rain pours down, slowly reviving the grass and trees. Let the rain serve as a poetic additive to your day, not an irritant. In 2019, you can find kombucha at most grocery stores. But why not have the fermented tea drink -- that tastes like it should be alcoholic but somehow isn't -- fresh off the tap? 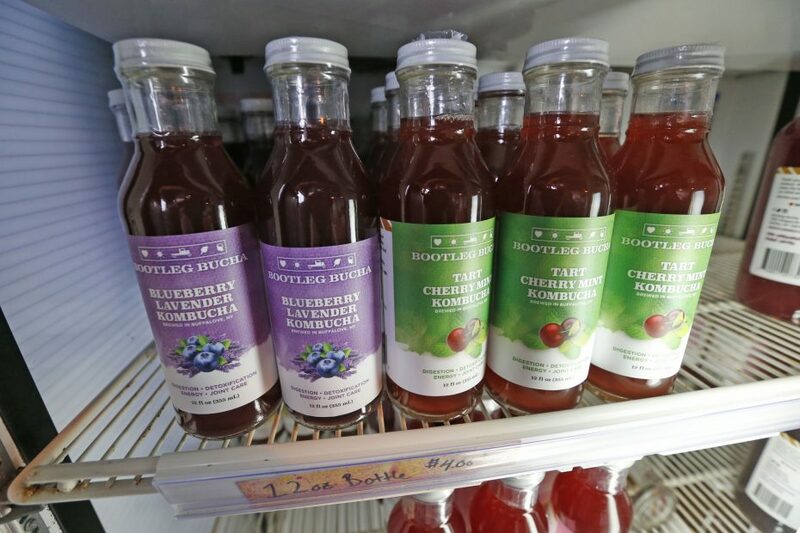 At Bootleg Bucha (1250 Niagara St.), drink a cold glass of probiotics at the bar. They usually have about nine flavors on tap, some of which you can't find anywhere else, so taste test a few and take a seat. It's healthier than a real bar.